Description: The little sister of our Really Bad rums, Silver is a very clean, light, dry-bodied old school classic spirit that was born to be what it is: just rum. Its moderate balance of heat delivers a premium, fresh, smooth, Caribbean cane flavor to cocktails, making this a perfect spirit for mixing. 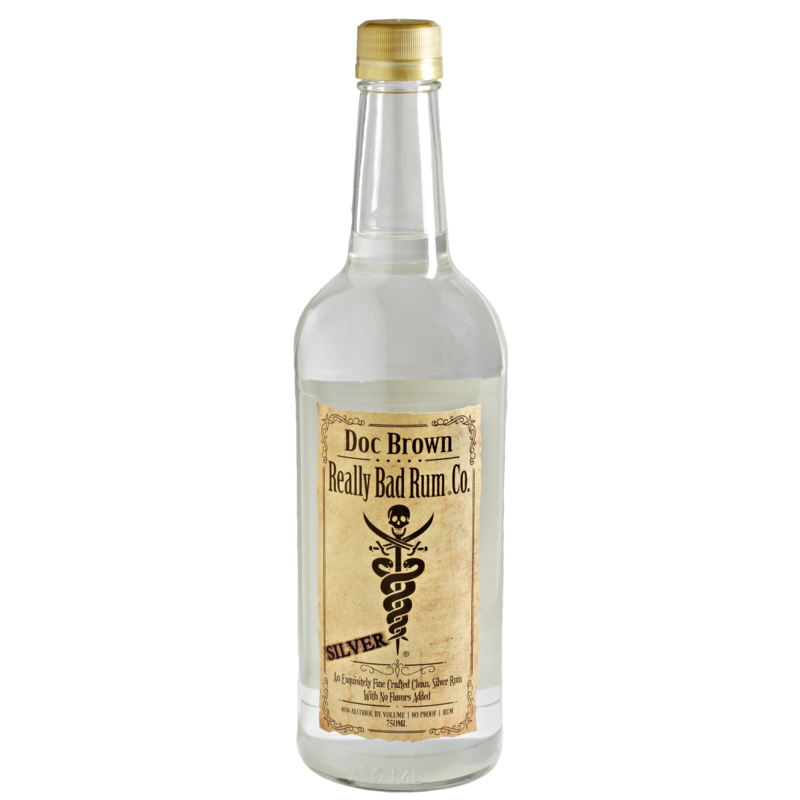 At 80 proof, and with a signature dry freshness, this handcrafted, artisan pure rum is ideal for punches, Tiki drinks, and elegant cocktails or colas. Description: At 80 proof, our flagship dark rum is an exquisitely smooth, handcrafted, artisan rum, perfect for sipping neat, or on the rocks. Masterfully blended, this rum has an exceptional flavor profile enhanced by distilling twice and aging in oak casks. Its velvety smooth taste, with rich aromas of muted oak and hints of vanilla, makes for a unique full-bodied rum. A smooth finish with spice and oak flavors will linger pleasantly, enriching the rich and flavorful experience for the mature palate. Description: Branded "spiced" since that's just what it is! At 70 proof, our spiced rum is infused with traditional classic spices giving this rum its golden hue. Our spiced recipe has a smooth, warm-bodied heat, with hints of vanilla and peppercorn that are harmonized with a touch of honey which warm the palate. 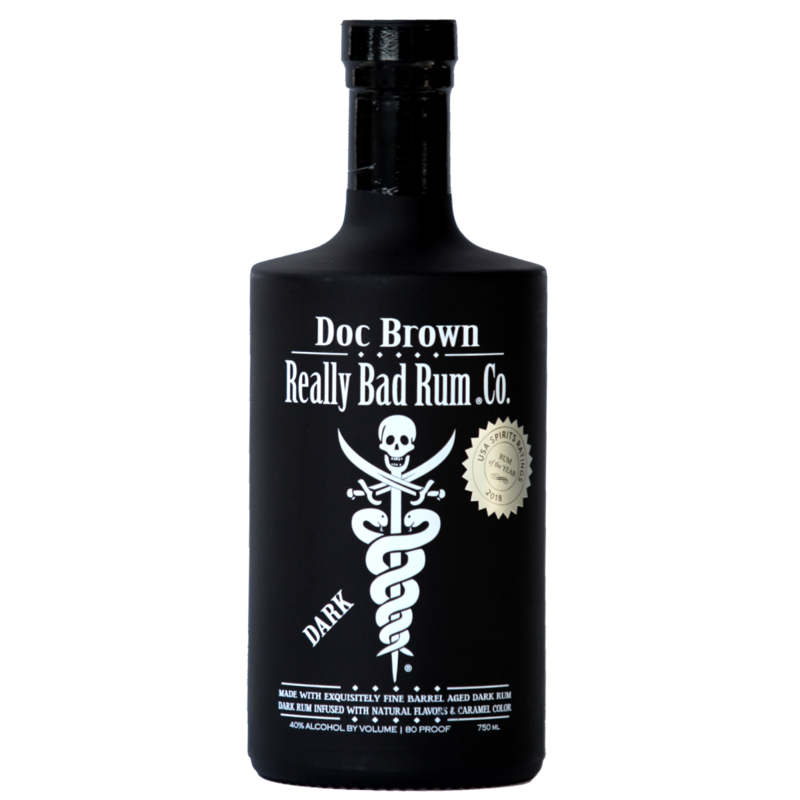 Doc Brown’s Really Bad Spiced Rum is intensely satisfying on the rocks, or is the perfect companion for your favorite tropical drinks and colas.